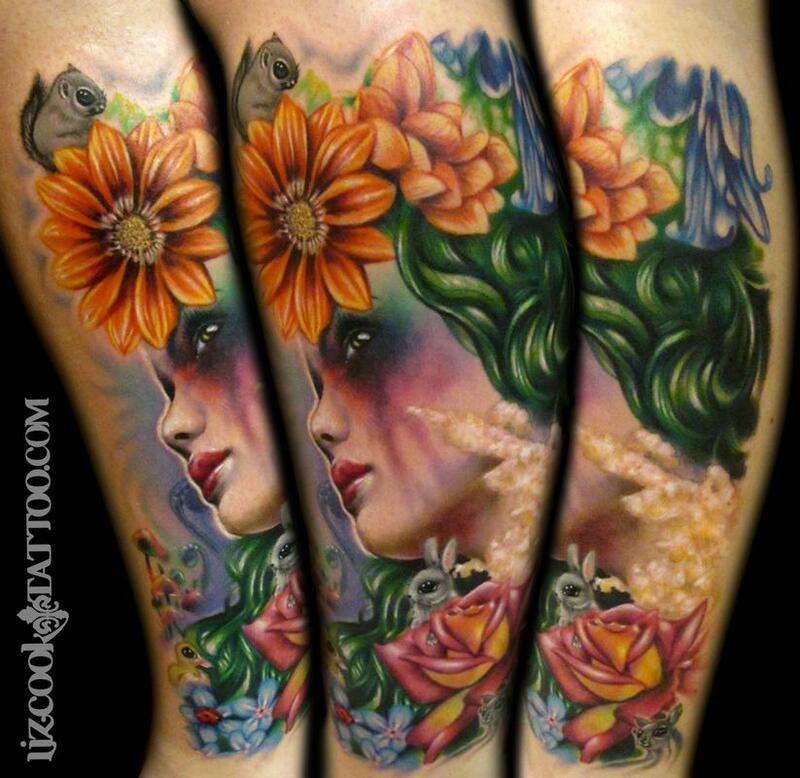 "Mother Nature" I tattooed this piece primarily for a book which has just been released by Chris 51 and Bill Rhine. The title is "When Nature Calls" . When Chris first approached me about submitting some tattoosfor a bookhe was launching I was actually in Austarlia doing a guest spot at the tattoo studio I apprenticed at. Allie from Abandoned Art tattoo sat all night long for thispiece and we documented the whole process. It was a great project to be involved in and a very memorable tattoo!